Do you want to lose your weight painlessly? If you’re desperately trying to avoid your favorite high-calorie treats and squeeze in workouts, it can seem like there’s nothing pain-free about it. Yet while slipping in exercise and eating healthier does take some work, it really doesn’t have to require heroic effort. You can pack a big weight loss punch over time by making just a few simple lifestyle changes. Weight loss experts and everyday people have figured out a few painless ways to lose weight — and keep it off, and here are their top 5 tips on how to lose weight without sweating it too much. Forget diet denial – Instead of subtracting foods, try adding them to your diet. Add the veggies into soups, stews, and sauces. Add in healthy goodies you really love, like crunchy snow peas, juicy grapes, or deep-red cherries. Slip those favorite fruits into breakfast cereal and your bag lunch. “Adding in really works, taking away never does,” says registered dietitian David Grotto, RD, LDN, author of 101 Optimal Life Foods. However, do remember to keep an eye on overall calories. 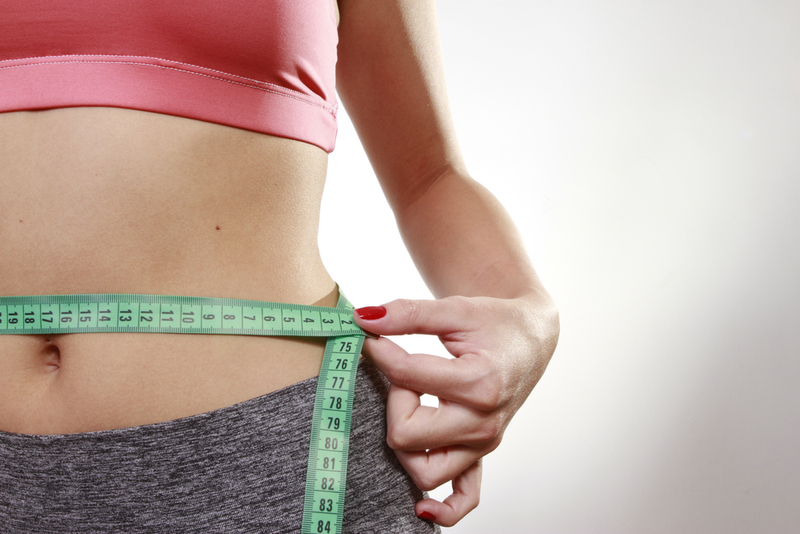 Also, measure your body fat percentage because too little or too much body fat can negatively impact your health. The easiest way to do it is to use a scale (Body Analyzer1 – Digital Scale & Body Analyzer ). And don’t forget to add in something physical, too, whether it’s taking a quick stroll, shooting hoops, or doing a few dance moves before dinner. We all love television, and the American Heart Association knows that. And they also know we need to take more exercise, so why not combine them. Try practice some stress-relieving cardio boxing when your least favorite reality contestant is on camera, or dancing to the music when you tune into your favorite music show. During commercials walk the treadmill, pedal your stationary bike, or put in a high-energy exercise DVD and get motivated by the pros onscreen. You can also slip in a little strength training doing bicep curls with cans of your favorite fizzy beverage as weights. It doesn’t matter exactly what you do. It is only important that you’re up and active. According to the AHA, you should aim for at least 15 minutes. Switching to lower-calorie versions of the foods you crave is one of the easiest ways to cut back without feeling denied. A pizza tastes just as good with reduced-fat cheese. When you garnish low-fat ice cream with your favorite toppers, who notices those missing calories? Registered dietitian Elaine Magee, RD, MPH, author of Tell Me What to Eat If I Suffer From Heart Disease and Food Synergy suggests that you should keep an eye on boosting fiber while you’re trimming fat calories. Fiber helps you feel satisfied longer, so while you lighten family favorites, you can easily amp up the fiber by tossing a handful of red bell peppers on the pie, or adding a cup of whole wheat flour to your pizza dough. Don’t forget to lighten the drinks going with that meal, which means that you should try to switch from high-calorie favorites to diet soda or light beer. You can also add a spritz of seltzer to your wine. If you hate low-cal drinks, you can mix your preferred drinks with a splash of the low-cal option. You can increase the ratio as your taste buds adjust. And don’t forget to keep pouring that ultimate beverage – water! If you are going to a party, you should grab a low-cal drink in one hand and keep it there. This makes it harder to graze the buffet, and you’ll also be less tempted to sip endless cocktails, too. Finally, Anthony says that keeping your body refreshed with plenty of water may also help your workout. Diane Virginias, a certified nursing assistant from New York, says that walking when the weather’s nice is a super-easy way to keep fit. She also says that she’ll go out for a few minutes even when she’s short on time, because even a five minute walk is a five minute walk. Use the stairs every time you get. Hike the mall. Be sure to hit all the levels. Instead of using a leaf-blower, rake the leaves or sweep the drive. The next time you mop or vacuum, crank the music and get your heart rate up. Use a push mower instead of a power lawn mower. Get out of the office building. Enjoy walking meetings. Park your vehicle at the back of the lot. It all adds up. You may find yourself with a low-impact, 30-minute workout easily tucked under your belt if you walk twice a day for 10 minutes and try a few of these tips. If you need something to help you boost your physical performance, alertness and concentration, you should use something natural like doTERRA – Lemon Essential Oil .